Lenders | Del Toro Loan Servicing Inc.
Why should I use a Loan Servicing Company? Loans, particularly those involving real estate, are among the most highly regulated type of transactions under California law. The California Department of Consumer Affairs publishes a “short” primer on what must be done by the lender, the loan servicer, and the borrower in order to ensure that a loan is in compliance with the law. The last five pages of that primer are a checklist of over 100 specific, and often arcane, requirements that must be met. Not all of these requirements apply to each type of loan transactions, but unless the lender is itself a Loan Servicing Company with years of experience in handling these sorts of transactions, it would be almost impossible to stay on top of California’s requirements. A qualified Loan Servicing Company knows which rules apply to which type of loans, and will work to make sure that your investment remains legal and in compliance with the regulations promulgated by the Departments of Real Estate and Consumer Affairs. A qualified Loan Servicing Company will also make sure all provisions of the California Business and Professions Code are followed, as well as any additional pertinent regulations. Private loans are advantageous investments insofar as they yield high returns. However, the benefits of those high returns are substantially diminished if the lender is forced to spend all her/his time servicing the loan when the lender could be focusing on other projects. Additionally, these loans do carry risk. Having a knowledgeable Loan Servicing Company to ensure lender and and borrower compliance can substantially reduce that risk. Do I have to use a Loan Servicing Company? Multi-Lender loans MUST HAVE a licensed Servicing Agent under Section 10238 of the California Business and Professions Code. Whose interest does Del Toro represent? Although our fees are often paid by the Lender, we represent both party’s interests. In many cases we are a requirement by law to oversee the loan transaction from start to finish. 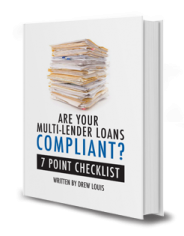 Multi-Lender loans, for example, MUST employ a licensed servicer. What is a Multi-Lender Loan? Your trust deed investment will either be secured by a “whole” (only one lender or note holder) or a “fractionalized” (more than one lender or note holder) deed of trust. “Fractionalized” promissory notes and deeds of trust, when negotiated by an Mortgage Loan Broker (MLB), are subject to regulation by the DRE, which enforces the Real Estate Law, and the DOC, which enforces the Securities Law. The Real Estate Law includes what is known as the “multi-lender law.” This law imposes certain restrictions including: (a) no more than 10 lenders or note holders (you and your spouse would count as one lender or note holder on a single investment); (b) a licensed servicing agent must service your loan and have a written agreement (loan servicing agreement) (c) defined loan-to-value ratios, based on the type of property being used as collateral, are generally not to be exceeded; (d) you may not invest more than 10% of your net worth or your annual income; (e) your loan must be directly secured by the Property and may not be indirectly secured through another promissory note and deed of trust (collateralization); (f) the MLB may not “self-deal” except in limited circumstances; (g) the deed of trust may not include a provision for subordination to a subsequent deed of trust; (h) with certain exceptions, the promissory note may not be one of a series of notes secured by liens on separate parcels of real property in one subdivision or contiguous subdivisions; and (i) your interest and the interests of other lenders or note holders must be recorded and identical in their underlying terms so that each note holder receives his or her proportionate share of the principal and interest. (There may, however, be different selling prices for interests in an existing note if the differences are reasonably related to changes in the market value of the loan which occur between sales of the interests.) The documents and instruments will be substantially the same whether your investment is in a whole or fractionalized promissory note and deed of trust. When funding a loan or purchasing a promissory note you should receive: the promissory note; the deed of trust; the assignment of deed of trust and assignment or endorsement of promissory note (if applicable); the preliminary report; the appraisal report; the loan application and related documents previously described; and the policy of title insurance describing the coverage you selected. The law also provides for a questionnaire to be completed by all participating lenders to ensure they understand the nature of the investment. In addition, if the loan is negotiated by an MLB you should receive a lender/purchaser disclosure statement (LPDS) prepared in accordance with California law. A properly completed LPDS will identify: the MLB and his or her representative; the amount and terms of the loan to be funded or purchased; whether the loan terms include a balloon payment; any servicing arrangements; and information about the borrower, including employment, income, credit history, and credit references. The LPDS will also disclose to you the status of all existing encumbrances or liens against the Property, including whether any payments are delinquent, whether any notices of default (NOD) or notices of trustee’s sale (NOS) have been recorded, and whether there are any bankruptcy proceedings or active lawsuits involving the borrower or the Property. You will also receive, as a part of the LPDS, information about the Property, including its address and/or assessor’s parcel number and legal description (if available); the age, size, and type of construction of any building improvements; an appraisal or, if you (the lender or note purchaser) have waived the appraisal, the MLB’s written estimate of market value. When the Property’s income is the primary source of payment of the debt service, you will receive income and expense information. Further, the LPDS will list the encumbrances and liens which are to remain against the Property and those encumbrances and liens which are expected or anticipated after your loan has been funded or the promissory note has been purchased. The loan-to-value ratio should be calculated for you so that you may determine the borrower’s equity and the protective equity in the Property (remember, they are different). Finally, the LPDS will identify the MLB’s capacity in the transaction: whether he or she is acting merely as an agent in arranging the loan or the sale of the promissory note; or whether the MLB or some related entity is the owner and/or seller of an existing promissory note or the borrower of the loan funds. The name and address of the escrow holder. Descriptions and estimated amounts of the costs payable by the lender (or purchaser) and borrower (or seller). For the sale of an existing note: the aggregate sale price; the percent of the premium over, or discount from, the principal balance plus accrued/unpaid interest; and the effective rate of return if the note is paid according to its terms. The estimated closing date of a loan origination. Any other information known to the MLB and necessary to clarify information in the LPDS. Just as you (the lender) are entitled to receive a lender/purchaser disclosure statement, an MLB must give a borrower a statement known as the Mortgage Loan Disclosure Statement (MLDS). The MLDS explains the fees, costs, expenses and loan origination fees or commissions which the borrower will pay to the MLB or to others in connection with the loan. There could be an exception to receipt of the MLDS if the loan is a federally related loan and the borrower receives the appropriate Truth-in-Lending disclosures and a Good Faith Estimate conformed to California disclosure requirements. Another disclosure statement that may appear with your loan documents is a federal Truth-in-Lending disclosure statement, which is required when applicable, pursuant to the federal Truth-in-Lending Act and Regulation Z. An MLB acting only as an arranger of credit is not generally subject to the disclosure requirements of Regulation Z which are imposed upon creditors (lenders and note holders). However, many MLBs act as both lenders and arrangers or hold themselves out to be lenders and, therefore, may qualify as creditors under this federal law. Even private parties may qualify as creditors under Regulation Z after a certain volume of loans have been funded or promissory notes have been purchased. While you may not be a creditor by definition, either the MLB or another lender or note holder on a fractionalized deed of trust may be. If so, the borrower should receive a federal disclosure statement and a notice of the right to cancel the transaction within a specified period of time if the Property is the residence of the borrower. The Truth-in-Lending Act (TILA) was amended in 1994 with respect to loans, other than purchase money loans, secured by the borrower’s principal dwelling. The amendment places some restrictions on creditors, requires them to make additional disclosures, and permits consumers to cancel certain transactions. A creditor is defined for purposes of this amendment as someone who originates, in any 12-month period, more than one loan subject to this amendment or any such loan(s) negotiated through a mortgage broker. Rules to implement the amendment were effective October 1, 1995 and affect all described mortgage transactions having rates or fees above a certain percentage or amount. These mortgage transactions are referred to as “high rate/high fee” or “Section 32” loans. A loan is considered to be a “high rate” loan if the APR exceeds by 10 points the yield on Treasury Securities having a similar maturity. A “high fee” loan is one for which the total points and fees exceed the greater of 8% of the loan amount or, as of 1-1-00, $451.00. (Note that this dollar figure is adjusted annually on January 1 by the annual percentage change in the Consumer Price Index as measured on the preceding June 1.) The TILA regulations are enforced by the Federal Trade Commission (FTC). Persons having any questions regarding “high rate/high fee” loans or Regulation Z should contact the FTC. Payments are posted daily, as received. Payments are credited the business day on which they are received. You are able to see if your loan payment was received by logging in to your Online Account after 5:00 p.m. PST. How can I tell if you have received my Borrower’s payment? You can view account activity on our website (visit our “Homepage”). The website is updated with all of the day’s activities by 6:00 p.m. PST. When will I receive the funds from my Borrower? Once funds are received, we place a 2 day hold on cashier’s checks and wires and an 8 day hold online payments and personal checks. Once this hold is released, your payout will be processed on the Monday, Wednesday or Friday immediately following the release date. IMPORTANT – your online account reflects the RELEASE DATE not necessarily the disbursement date. We disburse on MWF when banks are open. This could cause your Disbursement Date to be a day or more later than the Release Date. Why are Borrower’s funds not disbursed to the Lender for up to 8 days? Loan Servicers are required to be “certain” that funds are cleared before they are sent out. Even though banking is highly automated, it can take 8 days for us to be notified of issues with a payment. Since we cannot risk disbursing funds to clients when their borrower’s funds were NSF, we must adhere to these policies. What if I have lost or did not receive a check sent to me by Del Toro? If a check is lost or stolen, we will place a Stop Payment on the item (no sooner than 10 days from mailing) and queue a new check to be printed one week from the stop date. Because mail delays and fraud pose significant problems for our clients and us, we strongly encourage you to sign up for Auto-Pay. With Auto-Pay, you will receive an email confirmation of when the funds are being deposited along with a detailed description (check stub) of the deposit. Another benefit is that funds are immediately good funds at your bank, unlike a check may be. If you opt not to take advantage of this free service and must request a replacement check, we will assess a $15 fee to your disbursement to cover the cost of the Stop Pay and reissuance. However, if you opt to sign up at that time for automatic deposit, we will waive the $15 stop payment and reissue fee. If I receive my payment via ACH, will I receive a breakdown or statement? Yes, you will receive an email notifying you of the deposit and providing a breakdown of the funds sent. What if my Borrower is seriously delinquent? If your Borrower is delinquent, we can enter into modification discussions on your behalf and begin foreclosure proceeding on your behalf, if necessary. NOTE – If this is a multi-lender loan, individual Lenders should not initiate contact with the Borrower. Laws are very specific about this process and improper communication could prove very costly. How can I recover my investment when the borrower fails to pay? Lenders and note holders are not always anxious to foreclose. As a result, it is not uncommon for loan payments to be several months delinquent prior to the commencement of a foreclosure. Frequently, the borrower who is delinquent on your loan is also delinquent on senior liens. Even though your loan may be current, the borrower may fail to maintain the payments on senior liens, such as taxes, insurance premiums, and/or deeds of trust. A breach of or default in connection with a senior lien by the borrower constitutes a default under your deed of trust. It is, therefore, important that the status of all senior liens be monitored. Prior to investing in a junior deed of trust, you should have determined the amount and the debt service (payments) required to maintain the senior lien(s). To protect your investment during any senior lien (loan) foreclosure, it may be necessary for you to maintain the payments (with your own funds) on all senior liens. Curing a senior lien default may not eliminate the need to continue to maintain the payments required by the senior lien while your junior deed of trust is being foreclosed. When you are a junior lien, you should be prepared to cure senior lien defaults and to pay senior lien delinquencies. A delay in paying the delinquencies may cost you (or other junior lien holders, if any) more money to protect your interest in the Property. A prompt commencement and processing of the foreclosure should limit the amount necessary to advance (pay) to cure senior lien defaults and to maintain the senior lien(s) without delinquencies until conclusion of the foreclosure sale. NOTE: Unless you are prepared to pay the entire amount owed on a senior lien (loan), the due date of your junior lien (loan) must precede the due date of the senior. If the Property produces income, you may elect to collect the rents and profits during the foreclosure process to help maintain senior lien (loan) obligations. As additional security for your loan, you should have received an assignment of the rents and profits (usually contained in the deed of trust). NOTE: “Self-help” in collecting the rents is generally not effective. You may need assistance from legal counsel to petition a court for either mortgagee-in-possession or the appointment of a receiver to collect the rents and profits. In a “fractionalized” (multi-lender) investment, it is necessary to obtain the concurrence of more than 50% of the lenders or note holders (measured by the amount of ownership interest rather than the number of lenders or note holders) to commence and direct the foreclosure process. The servicing agent should contact each of the other lenders or note holders for you. However, you should be able to directly contact the other lenders or note holders when necessary. When foreclosing a deed of trust, all sums owing and secured by the deed of trust are accelerated and immediately become due regardless of the maturity date identified in the promissory note, provided that an acceleration clause is included in the promissory note and/or deed of trust. Two methods are used to foreclose deeds of trust: judicial foreclosure and non-judicial foreclosure. In certain instances it may be desirable to file a lawsuit in a local superior court to foreclose on the Property (judicial foreclosure). When the beneficiary files a lawsuit against the trustor in a local superior court to judicially foreclose, the Property, unless the default is remedied (cured), will be ordered sold at a publicly held sale supervised by the court. The judicial action to foreclose is often more costly and will typically take more time to complete than the second method, which is a privately held public sale (non-judicial foreclosure). In a non-judicial foreclosure, the trustee (under the power of sale clause contained in the deed of trust) may proceed with the foreclosure at your request and, unless the default is cured, sell the Property without court supervision. This privately held public sale procedure will usually take at least four months to complete. If the deed of trust does not contain a power of sale clause, your only option is to foreclose judicially. Most deeds of trust do include a power of sale clause. Typically, a non-judicial foreclosure results in a higher selling price for the foreclosed property. NOTE: You should examine the promissory note and deed of trust to ensure that, among other provisions, both acceleration and power of sale clauses are included. If your loan is “non-purchase money” and you determine the protective equity is insufficient to repay the entire amount owed by the borrower, including all of the fees, costs, and expenses of the foreclosure, you may want to consider a judicial foreclosure. Deficiency judgments are not available when the non-judicial foreclosure method is utilized. However, collateral actions (a separate judicial action) for fraud, waste, or malicious destruction of the Property may still be possible. If the Property is foreclosed by a senior lien holder, thus extinguishing your “non-purchase money” junior lien, you still may collect as a “sold-out” junior lien holder. You may seek to collect as a sold-out junior lien holder when either there is no overage or an inadequate overage is received (insufficient money received from the foreclosure sale over and above that which is owed to the foreclosing senior lender to pay all or any part of the money owed to you). To enforce collection as a sold-out junior lien holder, a judicial action for money damages must be brought pursuant to the terms of the promissory note. Another remedy available to you (to recover your investment) when the borrower defaults (fails to pay) is to negotiate a “deed in lieu” of foreclosure. A properly executed and delivered “deed in lieu,” with consideration and when accepted by you, will transfer title of the Property to you without going through a foreclosure. Potential advantages to you are the elimination of foreclosure fees, costs, and expenses and immediate ownership and control of the security Property. The disadvantage to you is that you accept title to the Property subject to all junior liens, unlike a foreclosure, which typically removes junior liens as claims against the Property. NOTE: You should not accept a “deed in lieu” without securing title insurance coverage against any title defects and exceptions of record, including junior liens and encumbrances for which you have not agreed to become obligated. A borrower, in an effort to avoid the sale of the Property by either of the two methods described, may seek the protection of an automatic stay (a prohibition against any further foreclosure action) by filing a petition in bankruptcy in federal court or bringing an action in state court to restrain the non-judicial foreclosure sale (Temporary Restraining Order). A bankruptcy petition which is filed in federal bankruptcy court prior to the foreclosure sale of the Property prevents the trustee in a non-judicial foreclosure, or a state court in a judicial foreclosure, from selling the Property without relief from the automatic stay. A Temporary Restraining Order (TRO) will act to delay the trustee’s sale until the state court determines whether a preliminary injunction is to be granted until a full hearing or trial can be held on the matter. You will need the assistance of legal counsel to appear in the bankruptcy court to ask the court to grant relief from the automatic stay (a removal of the prohibition against further foreclosure action). The assistance of legal counsel will also be required to respond to a TRO. It is important to act quickly when responding to a borrower’s bankruptcy petition or request for a TRO. NOTE: Your quick response could ensure that sufficient protective equity remains to pay the total amount owed to you, including all fees, costs, and expenses incurred in processing the foreclosure and in responding to the federal bankruptcy petition or state court action (e.g., legal fees, costs, and expenses). You should remember that while acting to recover your investment due to the failure of the borrower to pay, you may not receive income from your trust deed investment. The return of the principal you invested and the income you anticipated may be delayed until the foreclosure sale or, in the absence of a successful third-party bid, until the Property is later sold by you (subsequent to foreclosure). When can I or should I foreclose? To exercise a non-judicial foreclosure against a borrower’s property, the lender(s) must follow certain statutory procedures set forth in the Civil Code. A lender can begin a non-judicial foreclosure (without proceeding with a lawsuit to foreclose) when a borrower defaults under the terms, covenants and conditions contained in the Note and/or Deed of Trust. Most often a non-judicial foreclosure is begun because a borrower has not paid one or more of his/her/their regular installment payments. When is a borrower considered “in default”? The costs associated with the foreclosure process are set by Civil Code and are generally equal across all service providers. In addition to Trustee’s Fees (generally 1% of the unpaid principal balance) there will also be fees for recording, mailing, posting and obtaining a title company policy. Who Pays for the Foreclosure? If the borrower reinstates the loan, or enters into a Forbearance Agreement, the foreclosure fees, costs and expenses are collected from the borrower. The lender(s) is/are responsible for the prompt payment of all foreclosure fees, costs and expenses upon written demand should the property revert to the Lenders at auction. What is Senate Bill 900 (SB900) and how does it impact my right of foreclosure? Senate Bill 900 was passed into law and signed by the Governor of the State of California in 2012. It provides certain requirements that must be met by a lender to try and resolve a mortgage dispute prior to instigation of the foreclosure process. It is relatively straightforward and self explanatory in its language, but if you have questions regarding its application to your particular investment, you should speak with a qualified attorney. What is the fee schedule to start a foreclosure? California Civil Code Section 2924c, effective as of 1/1/2011, establishes the fee schedule to initiate and continue a foreclosure in the State of California. Contact us for a fee estimate. What Kind of Notification or Correspondence Will I Receive During the Foreclosure? What is the difference in Judicial vs. Non-Judicial foreclosure? In a non-judicial foreclosure, the trustee (under the power of sale clause contained in the deed of trust) may proceed with the foreclosure at your request and, unless the default is cured, sell the Property without court supervision. This privately held public sale procedure will usually take at least four months to complete. If the deed of trust does not contain a power of sale clause, your only option is to foreclose judicially. Most deeds of trust do include a power of sale clause. What is the timeframe for a foreclosure? That depends on where the foreclosure is occurring (what jurisdiction), and whether it is a judicial or a non-judicial foreclosure. Below are some helpful links that may answer some or all of your questions with respect to non-judicial foreclosures, which typically occur more rapidly than a judicial foreclosure. What if my borrower files bankruptcy? A bankruptcy petition which is filed in federal bankruptcy court prior to the foreclosure sale of the Property prevents the trustee in a non-judicial foreclosure, or a state court in a judicial foreclosure, from selling the Property without relief from the automatic stay. A Temporary Restraining Order (TRO) will act to delay the trustee’s sale until the state court determines whether a preliminary injunction is to be granted until a full hearing or trial can be held on the matter. You will need the assistance of legal counsel to appear in the bankruptcy court to ask the court to grant relief from the automatic stay (a removal of the prohibition against further foreclosure action). The assistance of legal counsel will also be required to respond to a TRO. It is important to act quickly when responding to a borrower’s bankruptcy petition or request for a TRO. Should I consider a Deed in Lieu? A properly executed and delivered “deed in lieu,” with consideration and when accepted by you, will transfer title of the Property to you without going through a foreclosure. Potential advantages to you are the elimination of foreclosure fees, costs, and expenses and immediate ownership and control of the security Property. The disadvantage to you is that you accept title to the Property subject to all junior liens, unlike a foreclosure, which typically removes junior liens as claims against the Property. NOTE: You should not accept a “deed in lieu” without securing title insurance coverage against any title defects and exceptions of record, including junior liens and encumbrances for which you have not agreed to become obligated. Can I invest in trust deeds through my IRA or other qualified plan? You may be able to invest your IRA, family trust, or pension funds in Trust Deeds/Mortgage Notes. Or, if you’re leaving your employer, you can roll your 401k into an IRA and invest in trust deeds. Contact us for names of IRA Custodians that can help you learn how to invest your funds in secured trust deed investments in this manner. No. You’ve been able to buy real estate and trust deeds within your IRA since IRA’s were created over 30 years ago. Many financial professionals are unfamiliar with this, and continue to recommend bond and mutual funds for IRA investments. Also, some institutions limit investment choices to funds and products for which they’ll earn a commission. To invest in trust deeds with your IRA funds, you must first transfer your account to a third party “custodian” which will act as your intermediary. This is known as a “self directed” IRA. Once your account has been opened, you can then direct those funds to be used as capital to fund trust deed investments. First, verify that your current IRA custodian permits you to purchase trust deeds. If not, contact us for information on custodians that will allow you to place your IRA funds in any legal investment. In additional to IRA or SEP IRA funds, you can also transfer existing pension plans (e.g. 401k, 403b, ESOP or 457 plan) to a custodian. Tax: Interest income is usually tax deferred or, in the case of Roth IRAs, tax-free. Many smart investors understand this concept so they diversify by putting their high-yield, interest-bearing investments into their pension programs so they escape paying current taxes. Putting safe mortgage investments into a retirement plan and getting the benefits of tax deferral or tax exemption is getting the best of both worlds. Lower Yields Can Still Result in Greater Amounts of After-Tax Interest: Frequently, because of their tax-free status, tax-exempt fixed income investments offer lower yields. However, depending on your tax bracket, they may actually generate more income on an after tax basis than higher yielding taxable investments. Stability: interest stays constant throughout the term of the loan; principal value of investment does NOT vary. Security: a conservative interest-bearing investment is more secure than an equity/volatile investment and pension programs should generally restrict themselves to relatively “safe” activities. Diversification: The investor is committed to the concept of diversity and he or she has both, pension funds and non-pension funds (or personal funds portfolios / personal money) to invest. Strategy: Which investments should be placed into pension plans and which investments should be allocated to non-pension portfolios investments. Non-pension portfolios – Equity investments such as real estate, stocks and mutual funds, as well as anything volatile or risky. Pension portfolios – High yielding “interest-bearing investments” (including mortgages). 3. Investment Principle: Yield vs. Security: Investors dealing with pension funds have a different mentality than non-pension investors. The pension investor’s motivation is to keep the money working and to do so safely, whereas the non-pension investor’s motivation is to secure the highest rate of return (yield) on his or her investment. The Employee Retirement Income Security Act (ERISA) was enacted to ensure that employees receive the pension and other benefits promised by their employers. ERISA also incorporates and is tied to Internal Revenue Code (IRC) provisions designed to encourage employers to provide retirement and other benefits to their employees. Most provisions of ERISA and the IRC are intended to ensure that tax-favored pension plans do not favor the highest-paid employees over rank-and-file employees. ERISA has a complex series of rules that cover pension, profit-sharing, stock bonus, and most “welfare benefit plans,” such as health and life insurance. ERISA has created a single federal standard for employee benefits, and it supersedes almost all state laws that affect employee benefit plans. An employer’s responsibilities under ERISA vary depending on the type of plan involved. ERISA is a Federal Law compliance issue. Del Toro Loan Servicing recommends that all of the forms, documents, instruments, disclosures, and instructions the Plan will be asked to execute or approve, be reviewed by the Plan’s legal counsel who should be familiar with all applicable Federal and State Law. If I am investing in Trust Deeds do I need to be licensed or be represented by a broker? In some cases, private parties can organize loans. Some instances include intra-family or seller-carry loans. Please refer to the Lender’s page for important newsletters and links. Why can’t a borrower be charged loan modification fees on an owner occupied property?